I'm sure I've said it before, but I love maternity sessions. All the talk of the little details preparing for the baby, the excitement and nervousness. I found out this couple had baby name choices narrowed down to two. They have just a couple weeks left to decide, although both of their choices would be perfect! We went to Tyler Mansion on Bucks County Community College on an evening in between the days of rain and had a wonderful portrait session. 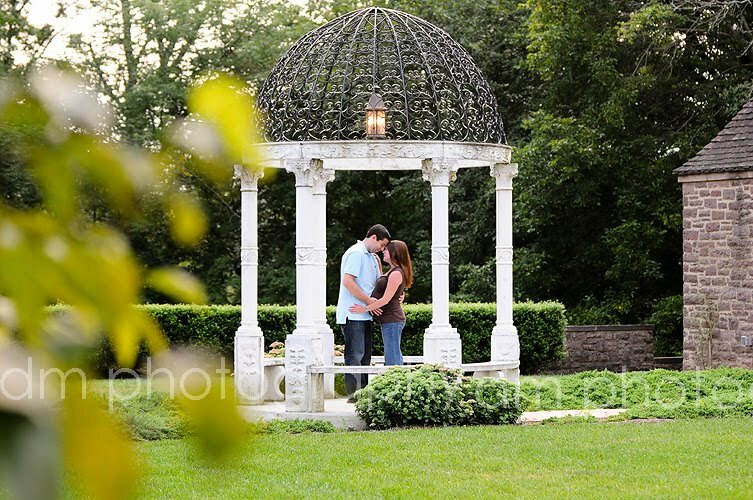 This is the gazebo where they got engaged. So sweet!! Kelly and Mike - I can't wait to photograph your little baby boy!! !